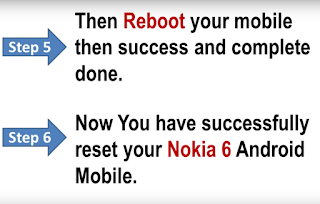 How to Reset Nokia 6 - The latest update Nokia 6 Android version has been released. 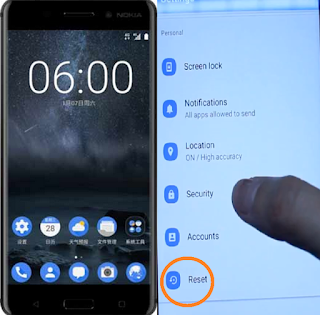 If you got problems, fail your phone frezze hang, Reset Nokia 6 settings or perform a factory data reset. You can reset all your settings and network settings. 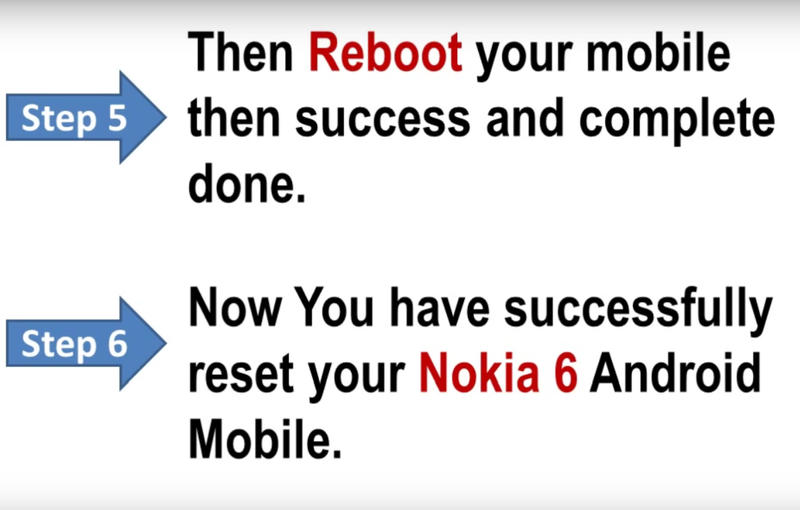 Here how to master reset, soft reset, hard rest Nokia 6. You can also set the device to restart at a preset time for device optimisation. You can remove all data from your Nokia 6 Android device by resetting it to factory settings. Before reset Nokia 6, remember to make backup copies of all important data stored in the memory card. The manufacturer’s warranty does not cover loss of data resulting from user actions. So, keep your Nokia 6 backup automatically to your Nokia account and or Google account to keep your data save. Tap Settings > Reset > Factory data reset, and follow the instructions shown on your phone. You may need to enter your pattern, PIN, or password. If you have a screen lock, you'll need to enter your pattern, PIN, or password. When prompted, tap Erase everything to erase all data from your device's internal storage. You'll see the welcome screen or logo as you did when you turned on your device for the first time. When you're done setting up, restore your backed-up data. A hard reset is the restoration of a device to the state it was in when it left the factory. All settings, applications and data added by the user are removed. Press and hold the Volume up + Home Button + Power button in few minutes until the Nokia 6 logo appears then release. A factory reset, also known as master reset, is a software restore of an electronic device to its original system state by erasing all of the information stored on the device in an attempt to restore the device’s software to its original manufacturer settings. 6. To confirm press the power button.